In Pancake 4, User Roles have taken on a new look. We have consolidated user roles into two options: Administrator and General User. The Administrator role is pretty straightforward. This user has access to everything in Pancake. Only give this role to someone that needs access to the Settings area. The General User role is intended for anyone that needs access to Pancake. In Pancake 3, you could setup as many roles as you wanted and then customize what that role had access to. Now in Pancake 4, you set what rights each General User has at the client level. This allows for a more granular approach. 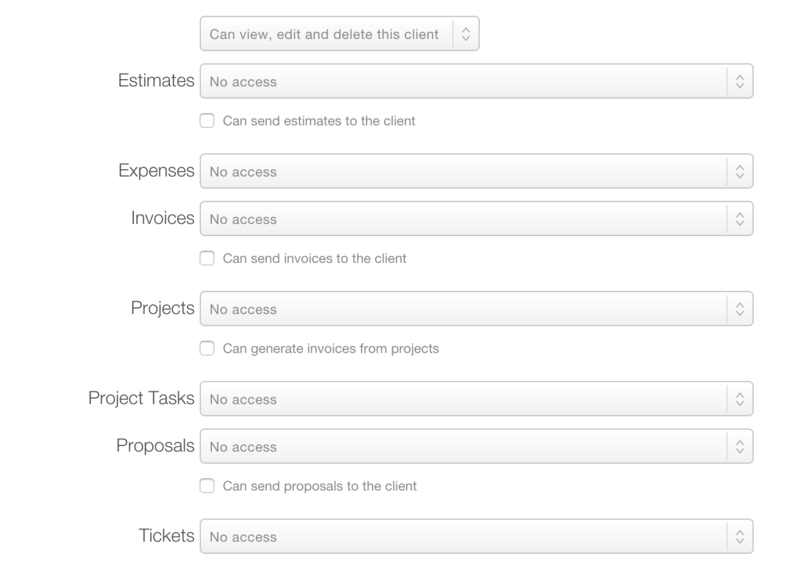 Your users can now have access to just projects for one client and then just tickets for another. You can even set if a General user can have only view, view/edit, view/edit/delete permissions. And you can override these permissions on a per-item basis (i.e. give a user access to a single project and only a handful of tasks, and they won't be able to access anything else at all).